SINGAPORE (AP) — The price of oil plunged Friday, adding to recent losses, on concerns that economic growth will soften, eroding demand for energy. Stock markets were less volatile, though trading was thin as U.S. markets are set to open for only a half day after the Thanksgiving holiday. ENERGY: The benchmark U.S. crude contract fell $3.80, or 7 percent, to $50.84 per barrel in electronic trading on the New York Mercantile Exchange. That is the lowest in over a year. The contract gained $1.20 on Wednesday. Brent crude, the international standard, lost $3.17 to $59.43. It lost 88 cents the day before. ANALYST TAKE: “It will be politically difficult for Saudi Arabia to organize a coordinated OPEC supply cut at the December 6th Vienna meeting,” said Olivier Jakob, analyst at Petromatrix. STOCKS: In Europe, Germany’s DAX index was 0.3 percent lower at 11,105 and France’s CAC 40 shed 0.4 percent to 4,916. The FTSE 100 index of leading British shares was down 0.6 percent at 6,918. U.S. stocks were poised for a downbeat open after the Thanksgiving holiday. Futures for the broad S&P 500 index were down 0.7 percent while Dow futures shed 0.6 percent. 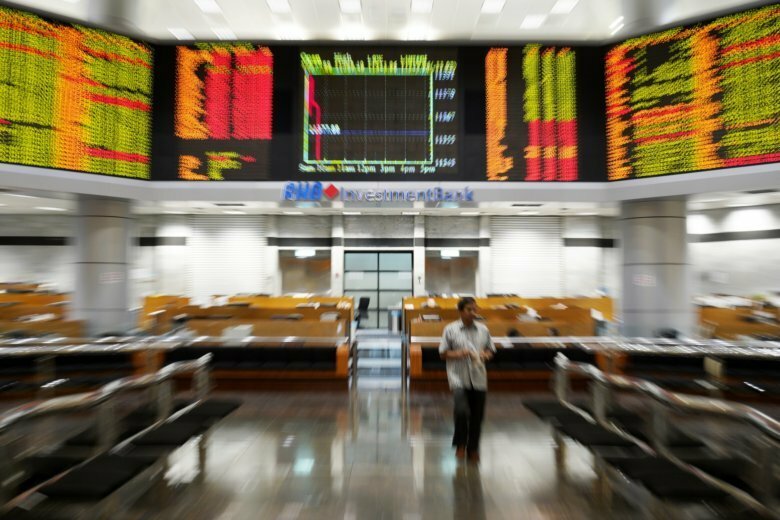 ASIA’S DAY: South Korea’s Kospi shed 0.6 percent to 2,057.48. Hong Kong’s Hang Seng index dropped 0.4 percent to 25,927.68 and the Shanghai Composite gave up 2.5 percent to 2,579.48. Australia’s S&P/ASX 200 bucked the trend, adding 0.4 percent to 5,716.20. Shares fell in Taiwan but rose in Singapore, Thailand and Indonesia. Japanese markets were closed for a holiday. U.S-CHINA TRADE: Trump and Xi will meet at the Group of 20 summit in Argentina next week. The leaders are hoping to unwind a spiraling dispute over Beijing’s technology policy and trade practices. The countries have placed additional tariffs on billions of dollars of each other’s goods, fueling worries over softening global growth. It may take more than a meeting to work out deep-seated issues. According to the Wall Street Journal, the U.S. has asked its allies to stop using telecommunications equipment from Huawei, which is Chinese-owned. The report cited people familiar with the matter. BLACK FRIDAY: The traditional day of retail discounts gets under way in the U.S., though the sales are now often stretched over several days. Many major stores, including Walmart, Best Buy and Macy’s, start their blockbuster deals on Thanksgiving evening, which has thinned out the crowds. Still, the sales figures are watched as a barometer of economic health, with initial data due Saturday. BREXIT WATCH: Traders will be looking out for more progress on Brexit. The European Union and Britain have agreed in principle to terms for the latter’s exit from the bloc and a political declaration on post-Brexit relations. The leaders are due to approve the deal Sunday, though it is unclear if it will be passed by the British parliament. CURRENCIES: The dollar fell to 112.83 yen from 112.95 yen late Thursday. The euro weakened to $1.1383 from $1.1403. The pound eased to $1.2852 from $1.2879.